The department is situated in newly built 370 m2 company building. Further, we have 180 m2 of storage space available. Very compact and light, its spheroidal cast iron, one-piece structure offers the highest rigidity for very stable crimping height values. The standard stroke is 40mm and different strokes are available upon request. The 135.8mm ± 0.02mm crimping height allows the TT to accept all the mini-style applicators fitted with the standard T-coupling. 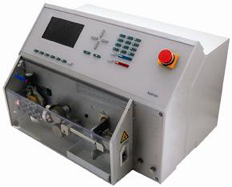 Automatic machine ensures accurate cutting and both side stripping of single wires and special wires and covers an extremely wide range of cross-sections. Stripping in partial cuts, allows extremely big stripping lengths to be processed. The CNC controlled cutting heads and pressure rollers guarantee optimal movement sequences and allow the processing parameters to be stored. Any adjustments while converting become unnecessary. All wire guide parts are fitted with a quick acting closure. They can be mounted very easily without any tool. The graphic LC display provides ideal support for setting-up and operating. 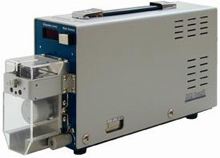 The Device Cosmic 30M (electric) is suitable for very accurate and reliable cable processing. It is equipped with 4blade system with ideal wire holder. 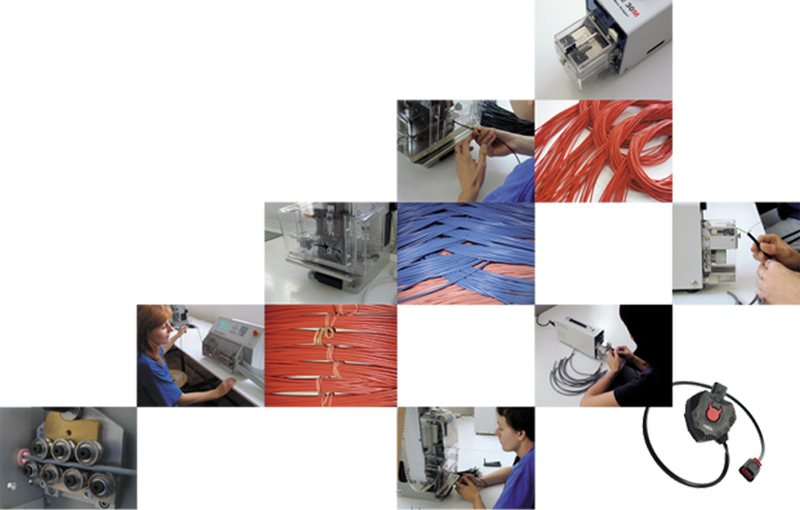 Wire diameter setting with a tolerance of 0.01 mm can be controlled on digital display.